If you are looking for a highly trained, friendly plumber and gas fitter in Worksop you have come to the right place! 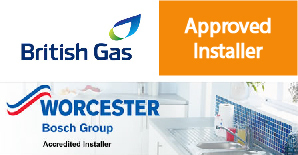 GS Gas Services is Gas Safe Registered and proud to be an Approved British Gas Installer & Worcester Accredited, and offer certified installation, repair and maintenance for all central heating, gas fires, and boilers systems as well as all your plumbing. With years of experience, a dedicated team and extreme flexibility we aim to provide you with the best possible products, services, customer experience and above all - Value for money! We service and repair all Gas Appliances, provide Landlord Certificates, Fit new boilers, cookers radiators, showers, fires and fire surrounds. With our engineer based in Warsop and the main office in Worksop, we cover many surrounding areas. For all our installations we offer a free no obligation quote. We will visit you at home, listen to your needs, measure up and advise as to the possibilities. We will then forward you a personal quotation for perusal at your leisure without any pressure. GS Gas is an established company, providing a wide range of gas installation and maintenance services to both the private and public sectors. We can help give you and your family peace of mind over the safety and condition of all your gas appliances. Plus we can help to cut your energy costs by installing only A rated energy efficient products. We supply and fit a whole range of top quality, cost effective central heating systems all with a healthy supplier backed guarantee: As a Worcester Accredited installer, we can upgrade your warranty to 8 year. As well as servicing your gas equipment to keep it safe, we can also diagnose and complete any repairs. If you have a problem with your central heating system or boiler at home, GS Gas will deliver a fast, professional and effective solutions. If your looking for a nice new fireplace, GS Gas can supply and install top quality gas fires including surrounds. Got your own fireplace, no problem, we can install this too. We can help you keep your rented properties safe and legal by making sure your gas equipment has been maintained and safe to use.